VMware Horizon 7 version 7.6 provides the following new features and enhancements. This information is grouped by installable component. Support the the Ubuntu 18.04, RHEL/CentOS 6.10, and RHEL/CentOS 7.5 platforms have been added. You can configure the Geolocation Redirection feature to redirect geolocation information from Windows client devices to remote desktops and published applications. To configure the Geolocation Redirection feature, you configure the Enable VMware Geolocation Redirection and Enable URL list for VMware Geolocation Redirection group policy settings. For more information, see the Configuring Remote Desktop Features in Horizon 7 document. This feature also requires Horizon Client 4.9 for Windows. If you plan to install or upgrade to View Composer 7.2 or later, you must upgrade the Microsoft .NET framework to version 4.6.1. Otherwise, the installation will fail. If you want to install View Composer silently, see the VMware Knowledge Base (KB) article 2148204, Microsoft Windows Installer Command-Line Options for Horizon Composer. This Horizon 7 release includes new configuration requirements that differ from some earlier releases. See the Horizon 7 Upgrades document for upgrade instructions. Horizon 7.5.1 is an Extended Service Branch (ESB) that will receive periodic service pack (SP) updates, which include cumulative, critical bug fixes, and security fixes. 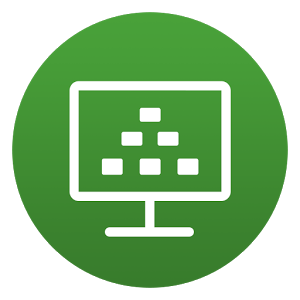 See the VMware Knowledge Base (KB) article 52845 FAQ: Horizon 7, App Volumes, UEM Extended Service Branches (ESB) for detailed information of ESB. See the Horizon 7 Upgrades document for upgrading to SPs. If you intend to upgrade a pre-6.2 installation of Horizon 7, and the Connection Server, security server, or View Composer server uses the self-signed certificate that was installed by default, you must remove the existing self-signed certificate before you perform the upgrade. Connections might not work if the existing self-signed certificates remain in place. During an upgrade, the installer does not replace any existing certificate. Removing the old self-signed certificate ensures that a new certificate is installed. The self-signed certificate in this release has a longer RSA key (2048 bits instead of 1024) and a stronger signature (SHA-256 with RSA instead of SHA-1 with RSA) than in pre-6.2 releases. Note that self-signed certificates are insecure and should be replaced by CA-signed certificates as soon as possible, and that SHA-1 certificates are no longer considered secure and should be replaced by SHA-2 certificates. When you upgrade to this release, upgrade all Connection Server instances in a pod before you begin upgrading Horizon Agent, as described in the Horizon 7 Upgrades document. After you have performed a fresh install or upgraded all Connection Server instances to Horizon 7 version 7.2 or later, you cannot downgrade the Connection Server instances to a version earlier than Horizon 7 version 7.2 because the keys used to protect LDAP data have changed. To keep the possibility of downgrading Connection Server instances while planning an upgrade to Horizon 7 version 7.2 or later, you must perform an LDAP backup before starting the upgrade. If you need to downgrade the Connection Server instances, you must downgrade all Connection Server instances and then apply the LDAP backup to the last Connection Server that is downgraded. The product build number for Horizon Agent in this release does not appear under the “Version” column in the “Add/Remove Programs” panel. To get the product build number, click “VMware Horizon Agent” and view the comments section in the panel below. The download page in this release includes a Horizon HTML Access Direct-Connection file that provides web server static content for supporting HTML Access with View Agent Direct-Connection (VADC). For information about setting up HTML Access for VADC, see Setting Up HTML Access in the View Agent Direct-Connection Plug-in Administration document. Selecting the Scanner Redirection setup option with Horizon Agent installation can significantly affect the host consolidation ratio. To ensure the optimal host consolidation, make sure that the Scanner Redirection setup option is only selected for those users who need it. (By default, the Scanner Redirection option is not selected when you install Horizon Agent.) For users who need the Scanner Redirection feature, configure a separate desktop pool and select the setup option only in that pool. Horizon 7 uses only TLSv1.1 and TLSv1.2. In FIPS mode, it uses only TLSv1.2. You might not be able to connect to vSphere unless you apply vSphere patches. For information about re-enabling TLSv1.0, see Enable TLSv1 on vCenter Connections from Connection Server and Enable TLSv1 on vCenter and ESXi Connections from View Composer in the Horizon 7 Upgrades document. FIPS mode is not supported on releases earlier than 6.2. If you enable FIPS mode in Windows and upgrade Horizon Composer or Horizon Agent from a release earlier than Horizon View 6.2 to Horizon 7 version 7.2 or later, the FIPS mode option is not shown. You must do a fresh install instead to install Horizon 7 version 7.2 or later in FIPS mode. Starting with Horizon 7 version 7.2, it is possible that the ordering of cipher suites can be enforced by Connection Server. For more information, see the Horizon 7 Security document. Starting with Horizon 7 version 7.2, Connection Server must be able to communicate on port 32111 with other Connection Servers in the same pod. If this traffic is blocked during installation or upgrade, installation will not succeed. Starting with Horizon 7 version 7.3.2, TLS handshakes on port 443 must complete within 10 seconds, or within 100 seconds if smart card authentication is enabled. In previous releases of Horizon 7, TLS handshakes on port 443 were allowed 100 seconds to complete in all situations. You can adjust the time for TLS handshakes on port 443 by setting the configuration property handshakeLifetime. Optionally, the client that is responsible for an over-running TLS handshake can be automatically added to a blacklist. New connections from blacklisted clients are delayed for a configurable period before being processed so that connections from other clients take priority. You can enable this feature by setting the configuration property secureHandshakeDelay. For more information about setting configuration properties, see the Horizon 7 Security document.